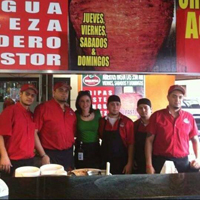 Taquitos & Panaderia West Avenue is the newest authentic Mexican restaurant in San Antonio, TX! But that doesn’t mean the food is anything less than the best. We just opened our second location in the area. Stop by today to try our street tacos and other incredible offerings! 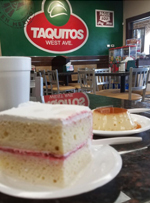 Taquitos & Panaderia West Avenue is a family-owned Mexican restaurant serving delicious, authentic Mexican cuisine to San Antonio, TX and the surrounding areas. Partners Jorge Lopez Ramirez and Luis Cerrillo, opened the first and second location together after growing up in Jalisco, Mexico. 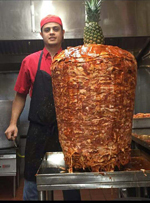 At Taquitos & Panaderia West Avenue, we don’t believe in leaving anything overnight. Whenever you eat at our restaurant, you’ll notice how fresh and delicious the dishes are. One of our restaurants is conveniently located just minutes from the Fort Sam Houston Army Base, Randolph Air Force Base, and Main Post Office. Although we just opened our second location in February 2017, customers are already raving about our food. From our classic street tacos and tripas to our traditional Mexican pan de dulce, there’s always something you’ll enjoy at our restaurant. Stop by one of our two locations today to try all that we have to offer!